Nokia: "We have identified the issue and will be addressed through a future SW update." 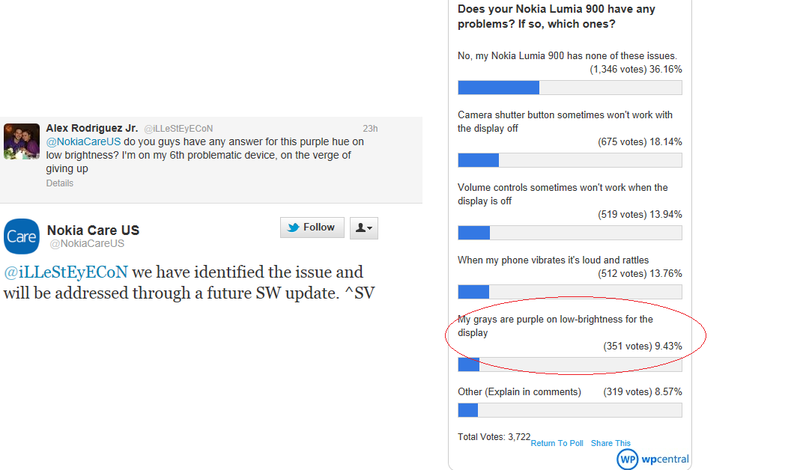 While we haven't heard any official details, Nokia support via Twitter is reporting that they have identified the purple-hue problem that is occurring on some Lumia 900s. The screen irregularity is very obvious and easy to induce: simply disable automatic brightness and turn the screen down to "low" in Settings. Doing so on some devices will cause the grays to look purple throughout the OS. We reported on this and other minor issues for the Lumia 900 a few days ago and even polled to see what percentage of you are affected. The information and poll were passed onto Nokia engineers along with our defective glossy-white Lumia 900 (we received a perfect replacement in return). Curiously, only about 10% are having the problem which is still quite high but we actually expected the number to be higher. Anecdotal evidence suggests than many have this problem but are unaware. 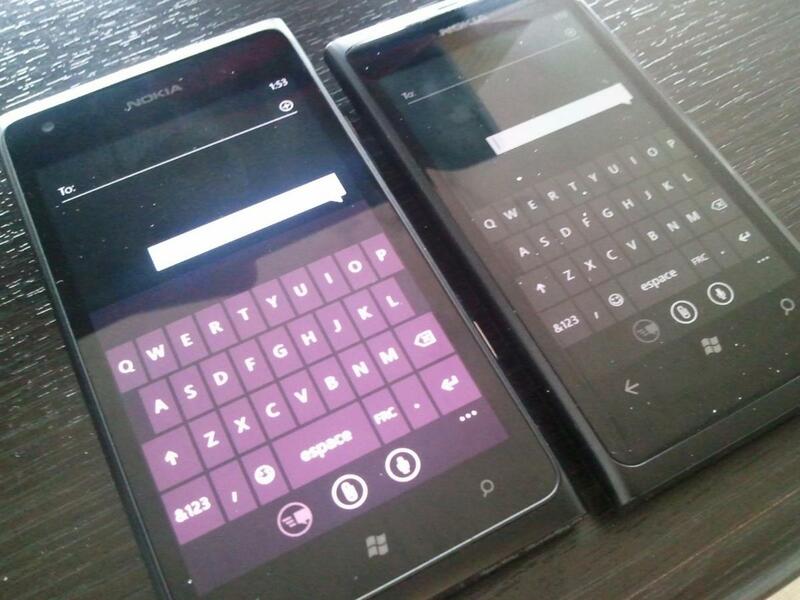 For instance, reader Jordan M. had a friend try to find a Lumia 900 without the purple hue. In three corporate AT&T stores in Wisconsin, twelve out of twelves phone had the problem though no AT&T reps were aware of the defect. That could mean either the problem is more widespread or this issue is the result of some bad batches of phones during production. Though we still don't know the exact cause, the problem can evidently be fixed through a software patch according to Nokia, which sounds reasonable. After all, the screens can do grays accurately, just not on low-brightness. That tells us it is probably due to a calibration issue with the AMOLED display or something similar. No word on an ETA for the patch but since it's not a dire issue like the data-connection bug, we imagine Nokia will want to roll it up into a comprehensive update that also fixes other things like the non-functioning camera button when the screen is off, unresponsive capacitive keys, volume issues, etc.